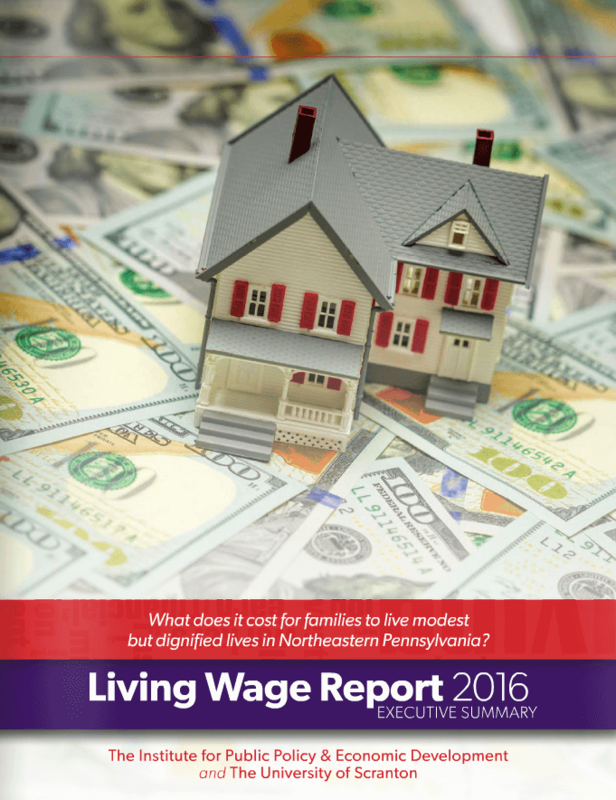 SCRANTON, PA — A significant gap exists between the minimum wage and a “living wage” for families in Lackawanna and Luzerne counties according to a new study that sheds light on what families need to secure a modest and dignified life for their children. In partnership with The Institute for Public Policy & Economic Development, The University of Scranton’s Education for Justice and the Office of Community and Government Relations released a comprehensive study today that reveals serious economic challenges facing one- or two-parent families making the minimum wage – pointing to the need for more family-sustaining jobs. 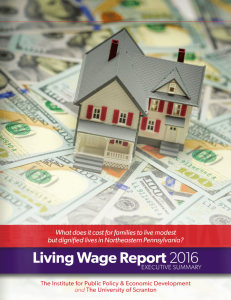 According to the study, “Living Wage Report 2016” (full report / executive summary) while many families fall below official federal poverty measurements, there are also many others who work full-time, are above the poverty line, but still fall short of earning a living wage that can adequately provide for themselves and their children. Since they do not earn a living wage — $19,558 for a single adult, or $67,291 for a family of four, for example — they will likely have trouble meeting expenses like housing, food, child and medical care, transportation and taxes. The Institute for Public Policy & Economic Development used a living wage calculator developed by the Massachusetts Institute of Technology to understand better the extent of income issues beyond standard government poverty measures. The Institute then analyzed federal, state and county economic and census data from fall 2015 to determine the cost of basic household expenses. A living wage is the wage rate at which a worker can reach a standard of living that meets these essential basic needs and allows the worker to live a modest, dignified life. 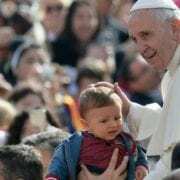 The study draws on the region’s network of social service agencies to shed additional light on the challenges and offers recommendations rooted in Catholic Social teaching. Leaders of the community agencies point to the fraying social safety net and their struggle to help families overcome financial shortfalls, even when families earn significantly more than the state’s minimum wage. “We talked to community leaders and heard about the real difficult trade-offs that families in our region are making—leaving their children at home when they go to work, how to spread food out when supplies are low, how they are trying to make do with not enough money to cover medical costs,” said Michael Allison, Ph.D., coordinator of Education for Justice and chair of the University’s political science department, who co-organized the study with Julie Schumacher Cohen, director of the Office of Community and Government Relations. The living wage calculation does not account for every single expense that a family incurs. For example, there is no income allotment for savings, college tuition, mobile phones, Internet or television costs. The full report, along with additional data, analysis, and community leader input, can be found at scranton.edu/livingwage. The state’s minimum wage of $7.25 does not meet the living wage standard for any of the family compositions examined in the study, even when all adults in the household work full-time. There is a significant gap between the existing minimum wage income and a living wage income. There is a significant gap between the existing minimum wage income and a living wage income. In four out of six of the family compositions in Lackawanna and Luzerne counties, the annual living wage income is double that earned at minimum wage. Household income for 2014 shows that more than 54 percent of households in Lackawanna and Luzerne counties had incomes below $50,000. But four out of six family compositions evaluated require incomes above $50,000 to reach “living wage” incomes. Meanwhile, 40 percent of households in Lackawanna and Luzerne counties have an annual income under $35,000. 15.4 percent of households in Lackawanna and Luzerne counties make less than $15,000. In Lackawanna and Luzerne counties, the lowest-paying jobs include fast food workers, cashiers, childcare workers and housekeepers. These represent the types of jobs with some of the largest workforce numbers. For Lackawanna and Luzerne counties, more than 182,000 workers have hourly wages less than $20.48. Nearly 40,000 of those make less than $11.34. Some families have too much income to qualify for meaningful assistance, but too little to achieve economic security. Increase wages: For the family classifications studied, reaching a living standard that is “modest but dignified” is nearly impossible earning $7.25 an hour. Support tax credits for low-income families: Federal income tax credits, including the Child Tax Credit (CTC) and Earned Income Tax Credit (EITC), help defray costs for working families. Increases to both programs would enhance economic security. Adequately fund and expand existing social service programs, including critical programs like the Supplemental Nutrition Assistance Program (SNAP). A combination of institutional, governmental, and private charitable activities are needed to increase wages and support low-income families. 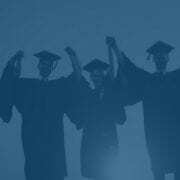 The study dovetails with the University’s mission. 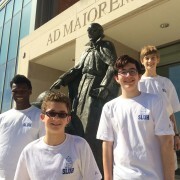 As a Catholic and Jesuit institution, The University of Scranton is committed to an educational mission that includes the service of faith and the promotion of justice. The University draws on the efforts of Catholic Charities USA, the U.S. Conference of Catholic Bishops and other partners to raise awareness of and advocate for public policies in keeping with emphases within Catholic Social Teaching on principles of human dignity, community and the common good, dignity of work and the rights of workers, solidarity, the option for the poor and vulnerable, and the role of government and subsidiarity. The University’s faculty will continue to explore the issues the study reveals. This includes additional publications that will examine the various concerns raised in the study from the perspectives of different academic disciplines. 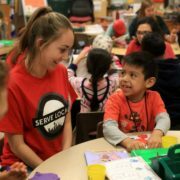 The study also represents the University’s continued engagement in the community through student service and community-based learning activities. Additional collaboration on the report came from Campus Ministries’ Center for Service and Social Justice and the Department of Communication.